Exceptional views of the pool and the Gulf of Mexico from this gorgeous three bedroom, two bath direct gulf-front residence at White Caps condominium in Orange Beach! 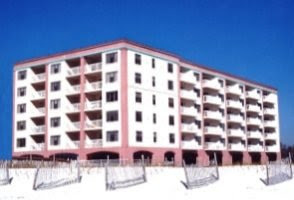 White Caps overlooks the tranquil waters of the Gulf of Mexico, the sugar-white beaches of Orange Beach and the Gulf front pool from either the living room or your wrap around balcony. Community amenities include a kiddie pool, an indoor pool/hot tub, exercise facility, tennis courts, BBQ grills…come see this resort home!